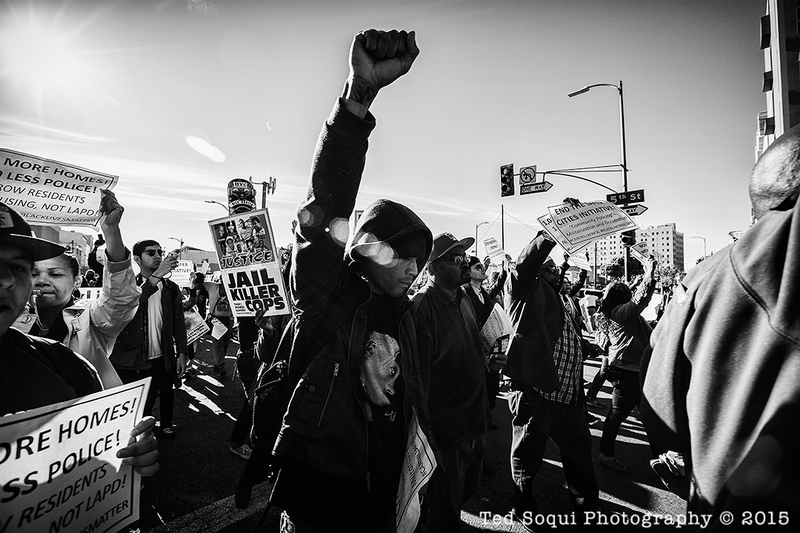 Hundreds of people marched to LAPD headquarters from the site where a LAPD shot a homeless man on March 1, 2015. The unarmed homeless man was shot and killed by a LAPD officer during an arrest struggle. The incident was captured on video from bystanders, the video went viral.